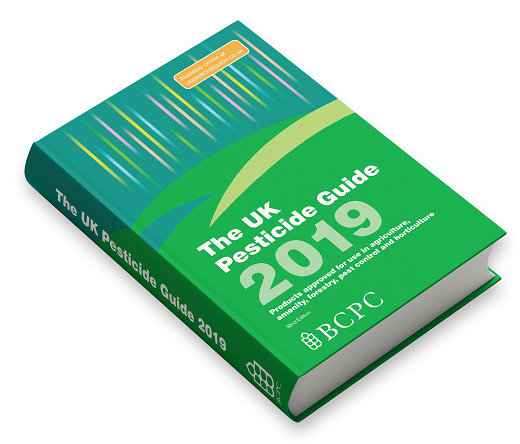 The UK Pesticide Guide 2019 – package offer - BCPC British Crop Production Council : BCPC British Crop Production Council . 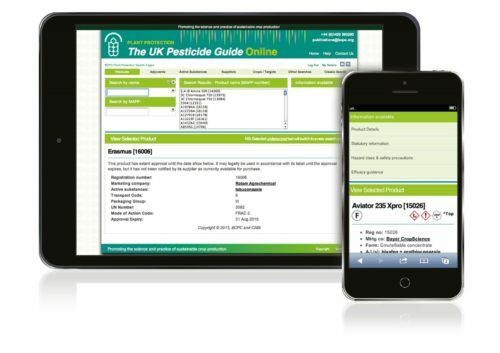 The UK Pesticide Guide is the key authoritative reference for advisors, growers, contractors, local authorities and many others managing the impact of pests and diseases. Updated for 2019, this essential reference for all pesticide products and adjuvants approved for use in agriculture, amenity, forestry and horticulture, includes eight completely new active ingredient profiles and many new formulations and products for a wide selection of different crops. This year BCPC is running a special promotion offering a half-priced hard copy UK Pesticide Guide to everyone subscribing to BCPC’s online resource. If CPD points are important to you then BASIS members can benefit by earning 2 CPD points when purchasing the book and 3 CPD points when subscribing to the online resource. Copies of The UK Pesticide Guide 2019 are available now, priced £55.80 (+p&p), or why not save with the package offer. Subscribe to the online resource (£70 + VAT per annum) and receive a50% discount on your hard copy purchase. Contact: BCPC Publications Sales, Garden Studio, 4 Hillside, Aldershot, Hampshire, GU11 3NB. Email: publications@bcpc.org. Tel: +44(0)1252 285223. Credit cards are accepted. Secure orders for the book and to subscribe to the online resource visit www.bcpc.org.